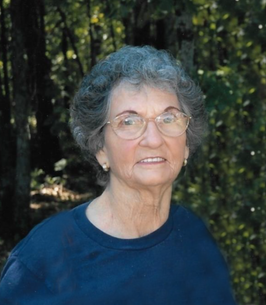 Mrs. Ruby Louise Moss, age 86 of Winnsboro, passed away on Monday, October 8th, 2018 in Tyler. She was born on June 14th, 1932 in Perryville, Texas to the late Issac Phillips and Eveleener Phillips. She was a homemaker and worked for Plenty's Horn in Pittsburg and Mike Benet Clothing. She was a member of Hepsibah Baptist Church. She was preceded in death by her parents, son, William Moss; grandson, Richard Alford Moss, granddaughters, Deborah Kay Moss and Carol Annette Moss; sisters, Pearl Busby, Myrtle Lou Phillips, Rosie Ellison, Lillie Overstreet, Mary Gatewood, and brothers, I.J. Phillips and Billy Phillips. She is survived by her husband, William Moss of Winnsboro; sons, John Moss of Scroggins, Billy Moss and his wife Melissa of Pittsburg, Richard Moss and his wife Eveleen of Scroggins, Rickey Moss and his wife Crystal of Good Hope; daughters, Delilah Brown and her husband Mark of Scroggins, Peggy Lilley and her husband Tony of Scroggins, Diana Leverton of Scroggins; brother, Robert Wayne Phillips of Perryvillie; sisters, Betty Holman of Longview, Sarah Phillips of Tawakoni, Sally Roberts of Tawakoni, Mattie Tomlin of Mt. Pleasant, Bessie Willard of Longview; thirty six grandchildren, eighty seven great grandchildren and 10 great great grandchildren. Visitation will be held on Wednesday, October 10th, 2018 from 6:00 pm to 8:00 pm at Beaty Funeral Home-Winnsboro 816 W. Broadway Winnsboro, TX 75494. Funeral Services will be held on Thursday, October 11th, 2018 at Beaty Funeral Home at 2:00 pm, Bro. Phil Grenawalt and Bro. Perry Shirley conducting. Interment will follow at Matinburg Cemetery in Pittsburg. 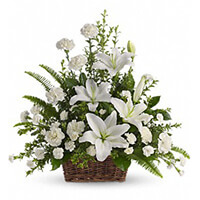 To send flowers to the family of Ruby Louise Moss (Phillips), please visit our Heartfelt Sympathies Store. I am so very sorry for your loss. The Bible makes this comforting promise: "Jehovah is close to the brokenhearted; he saves those who are crushed in spirit." (Psalm 34:18) May these thought and your wonderful memories will give you some relief during this difficult time. JT, and Family , I'm so sorry for loss and i know from being the oldest living in my family. GOD promises we'll see them again in heaven. We we know GOD will help uou thur the rough road ahead ,nut know Ms. Moss is in pain any more she singing and dancing with the angles . Such a blessing. My prayers are with all of you. 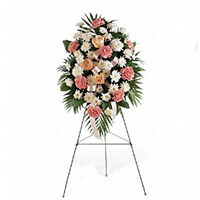 Bo and family, It was Mom who brought every one of us into this world and suddenly she is gone. We wonder what will I ever do without her. We should do what Mom would do … put her loving arms around each of us and say it will be ok for I am with the Lord now and he will take care of me until I see you again. Our thoughts and prayers are with you all. May God give you peace and comfort. We love you all! Our prayers during this time.